The magazine is dedicated to helping all members of the early years team improve their practice, from student to room leader, from manager to consultant, and provides the best possible support for the children in their care. 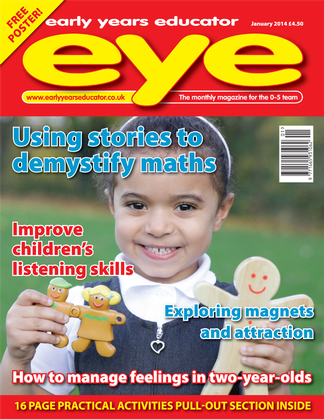 EYE is a vital resource that you and your team can rely on for all of your practical and educational needs in the early years, and that caters for requirements of the revised Early Years Foundation Stage. Be the first person to tell us what you think about Early Years Educator and you'll save £2.50 on your next purchase!